Up to 9,000 Christians gathered at Leyton Orient Football Stadium on Saturday for a day of prayer and worship for the London Olympics. 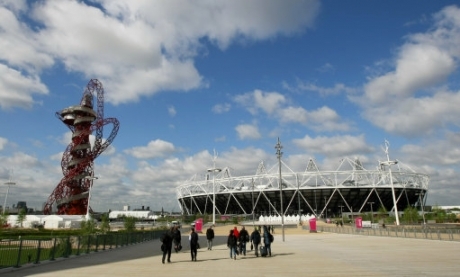 The stadium is located next to the newly completed Olympic Park, which in just a few weeks' time will welcome athletes and thousands of spectators from around the world for the London 2012 Games. Light the Fire is the only stadium event of its kind taking place in Britain this year that is dedicated solely to praying for the Olympics. The event is bringing together Christians from different churches across London and the UK to pray that God's purposes will be achieved during the Games. They are also praying that people will come to know God's love as a result of the church outreach that will take place during the Games. Jason Upton, Noel Robinson, Nick Herbert, Sean Feucht, Godfrey Birtill and Remanente will be leading worship. Taking to the stage to lead prayers will be Christian leaders Matthew Ashimowolo of KICC, Rachel Hickson of Heartcry, Elcio Lodos of IHOP London, and Jonathan Oloyede of Global Day of Prayer. Light the Fire is taking place as part of London's Burning 2012, a move of prayer initiated by Cornerstone church in Leyton, East London. Project Director, Rosy Ashley said, "2012 is an immensely exciting time for London and the UK - God has given the church in the nation an amazing opportunity to share His love with the thousands of visitors flocking to the capital. "We have a commitment to ensure that God's blessing is released over the Games and God's love is released on the streets. "Already 24/7 prayer and worship nights are preparing the way and we're really excited about all that God has in store for East London and the wider city in 2012." London's Burning is partnering with Burn 24-7 to hold 30 days of non-stop 24/7 worship and prayer at Cornerstone church, starting from 14 July and carrying on throughout the Olympics until 12 August. London's Burning is also working with Healing on the Streets to host its teams in east London, directing them to live sites during the Olympics that will give visitors the opportunity to encounter God's healing love.